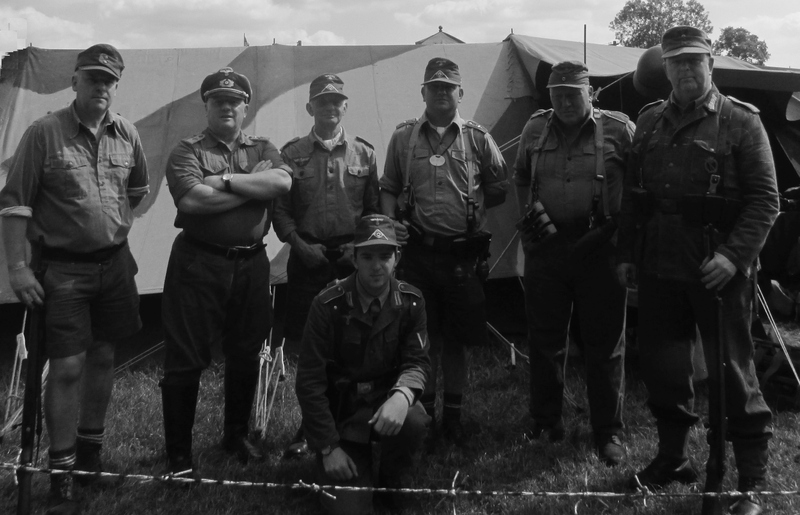 Have you ever wondered what it was like to be a soldier ‘on the other side of the fence’ during WW2? 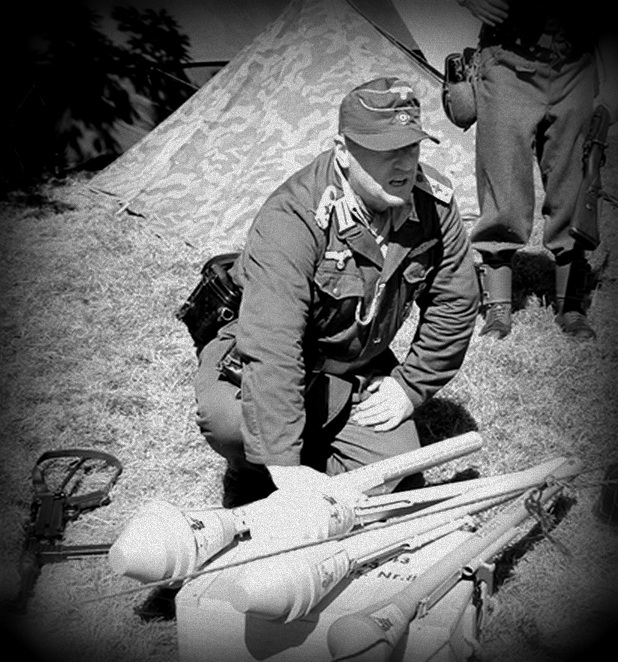 As one of the UK’s friendliest and most approachable re-enactment groups, we’ll help you gain an understanding of exactly that by discussing the combat history, the uniforms, equipment, vehicles and personalities that made up one of Germany’s elite army units that fought in Italy in 1943/44 and then on the Eastern Front from late 1944 to the end of the war in May 1945. If you want to know more about this little known aspect of history, come over and have a chat with us, we’ll be more than happy to meet you at one of the events detailed below. The Group will be attending its next event of the season at Grand Central Railway, Rothley Station, Rothley, Leicestershire this weekend, 1-3 June 2018. Please come along and see us at this wonderful and well established event, we'll be once again performing guard duties on the platform at Rothley as well as putting on a small display of equipment in the Parcels Office and we will be more than happy to chat with friends old and new. 15/06/2018 - A very late addition to our Events calendar sees a small contingent of the Group attending the Vintage Years Festival 2018 at the National Brewery Centre in Burton-on-Trent this coming weekend. If you are in the vicinity of the event why not pop in and say hello, we are always happy to chat to friends new as well as old! 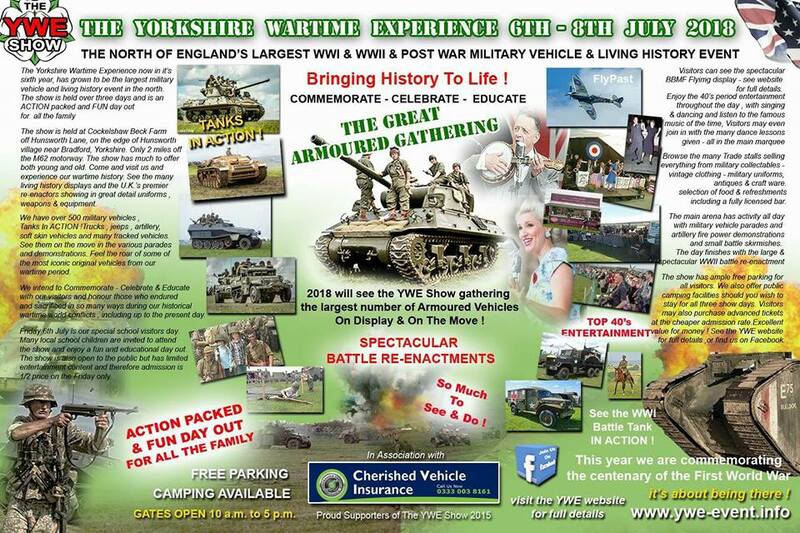 If you are in attendance at the event drop by our display, as always we look forward to meeting new as well as old friends! It's been a busy pre-season and all of our events paperwork has now been completed and returned & our calendar for 2019 is now shaping up nicely with just a few confirmations outstanding from some organisers stating that we are 'officially' in at their shows. A few more shows may be added to this list in due course & I will post details of those shows and more details of the shows listed above nearer to the time. If you can get along to any of the events listed above, please do so, indeed whilst there please look us up, we are always happy to chat about all things "Hoch- und Deutschmeister".